At the border of Old Chorzów and the former Królewska Huta (Royal Steelworks), on the territory between the streets of Piotr Skarga and Tadeusz Kościuszko, a historic hoist tower of the former “President” shaft of a non-existent mine is located. 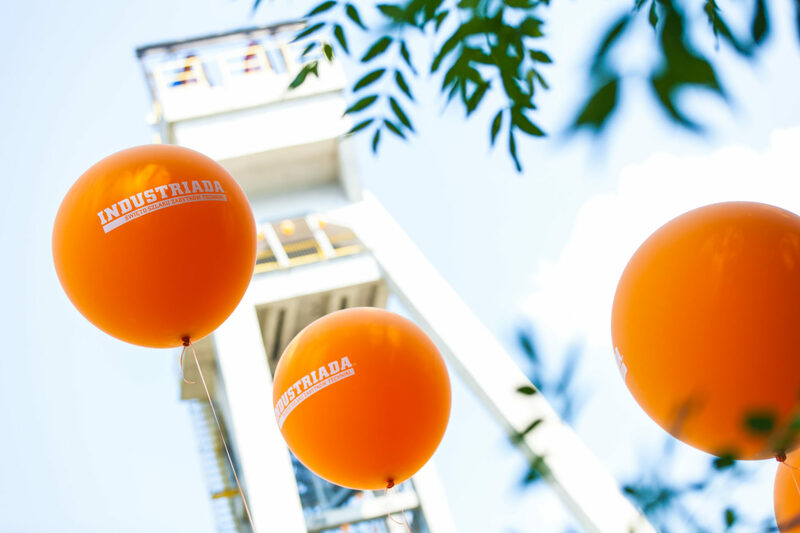 In evenings we invite you to the light illumination of the shaft – a unique one in Europe. 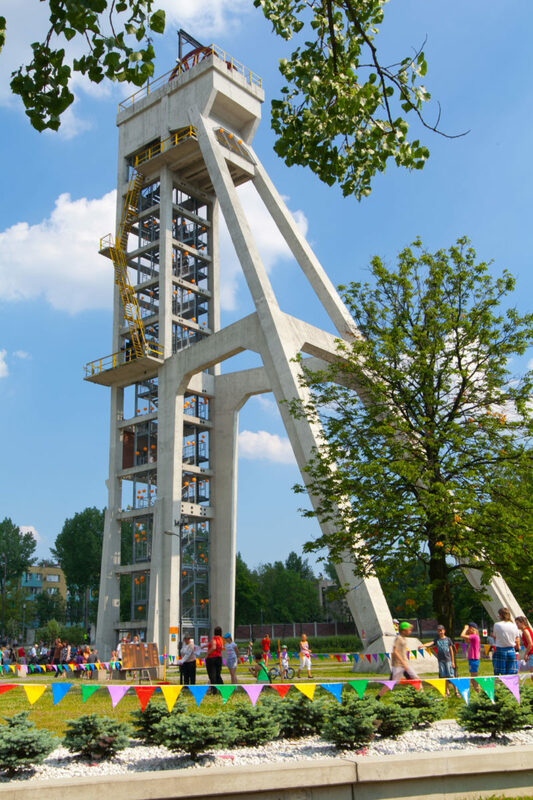 Within the mine premises the Sztygarka complex operates which includes, inter alia: a restaurant, a guest rooms, Day SPA, “Fire Brigade” Gallery and Cafe “Pod Wieżą”. 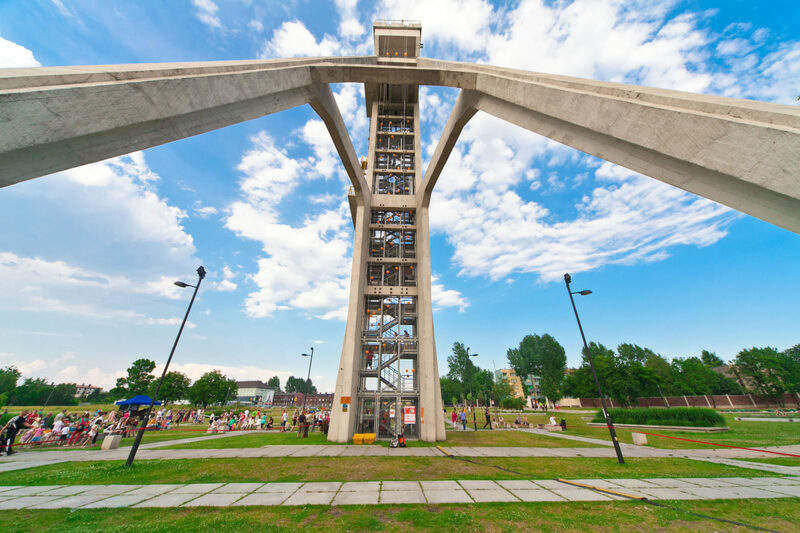 The Sztyg.art Association, which operates at Sztygarka and is the carer of the tower, organizes numerous artistic and cultural undertakings, such as: “The Chorzów Garden Theatre”, jazz concerts, blues evenings and other cyclical events. The hoist tower was erected in 1933. Its construction was financed with the funds of the Polish and French company “Skarboferm”. 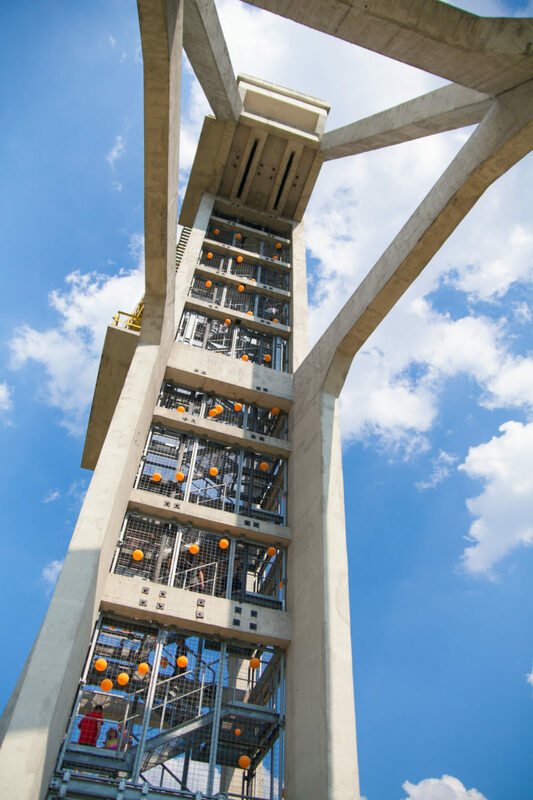 Originally, the shaft was named “Wielki Jacek”, since 1937 – “President”, in honour of Ignacy Mościcki, the President of Poland who was connected with Chorzów at that time. 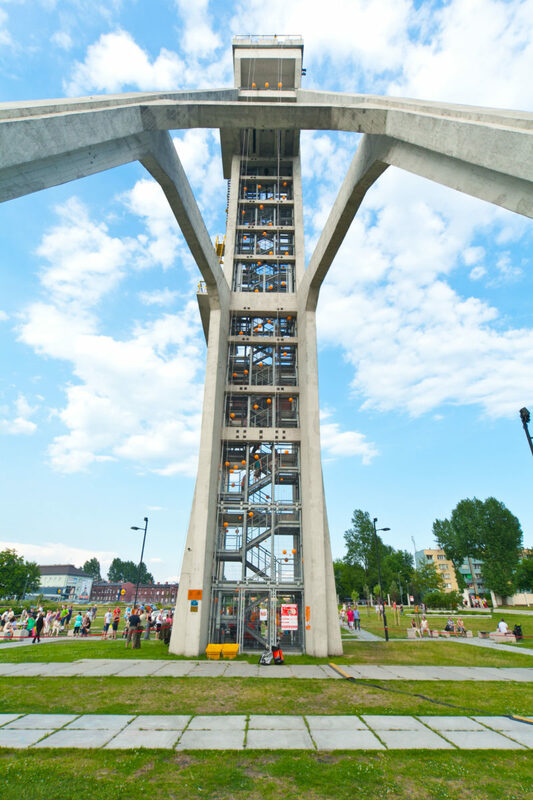 The tower with an exceptional, steel-reinforced concrete structure and height of 42 m – as one of the most modern at that time in Europe – had two rope pulleys with the diameter of 5.5 m set in parallel to each other. Along with related equipment, including a 10-ton skip hoist, it was capable of drawing out to the surface about 300 tons of coal per hour.